Insurance claims frequently involve demand packages. These are sent to an insurance company by your attorney. But what is a demand package, and what does it contain? This is information you want to know if you have a pending injury claim open in Boston. A demand package is a compilation of documents and photos that is intended to start settlement discussions for a claim for personal injuries with an insurance company. 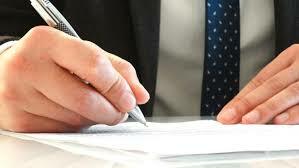 The cover letter to the demand package will describe the basis facts of the accident. It will detail the negligence on the part of the insured. Demand letters will also list the injuries suffered, amount of medical bills and lost wages, and will ask at the end for a certain settlement demand figure. It is this demand figure that will elicit an initial offer of settlement once the adjuster has time to review the complete demand package. What Is Contained In The Demand Package? Besides the demand cover letter, the typical demand package will contain medical records, medical bills, proof of lost wages. It will also likely contain photographs of the injuries sustained, as well as photos of the damage to the vehicles involved if it is a car accident claim. If it is a slip and fall, or trip and fall claim, it will contain photos of the defect that led to the fall. When Will The Insurance Company Respond? It really depends on the complexity of the case. Assuming the adjuster does not need any follow-up information or documentation, an offer will typically be made within 30 days of the insurance company’s receipt of the demand package.